Come tour the Patterson School Foundation property, bequeathed for agricultural educational purposes by Samuel Legerwood Patterson, the first elected NC Agricultural Commissioner. His great, great niece will share the Permaculture plans to regenerate this land, organic farm management of horse hay, the newly re-opened Patterson Equestrian Center and Riding Club, and the Caldwell County Public School's STEAM program's campus site. Enjoy this resource-rich land which includes an old hydro-electric dam, the Yadkin River and Ripshin Mountain's peak. Our farm has been in the family since around 1825. We specialize in a variety of small fruits and vegetables. Come by and also see an old barn (around 1850), chickens, goats, horses, mules, and who knows what else we may have. 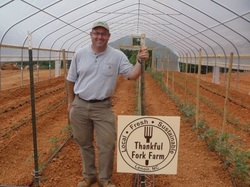 Come visit a young, developing family farm on the beautiful Johns River. 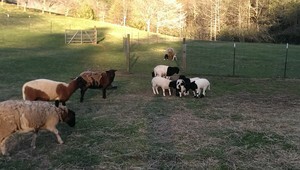 We raise grass fed Dorper and Katahdin sheep and lambs and are one of only a few farms in North Carolina raising Bielefelder chickens. These are called the German "uber chickens" and are large, productive layers with gentle, friendly temperaments. Our livestock contribute to our compost project that we use in developing our vegetable and berry gardens. 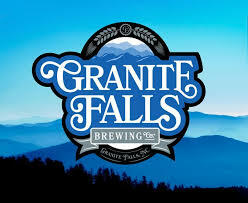 With over 111 years of beverage bottling in the former Pepsi Cola plant, Granite Falls Brewing invites you to tour our brewery, sample local beers and enjoy our unique menu in our quaint atmosphere. We have on average 20+ beers brewed on-site and our menu is filled with housemade items. We will have an employee/brewer leading tours throughout the afternoon.